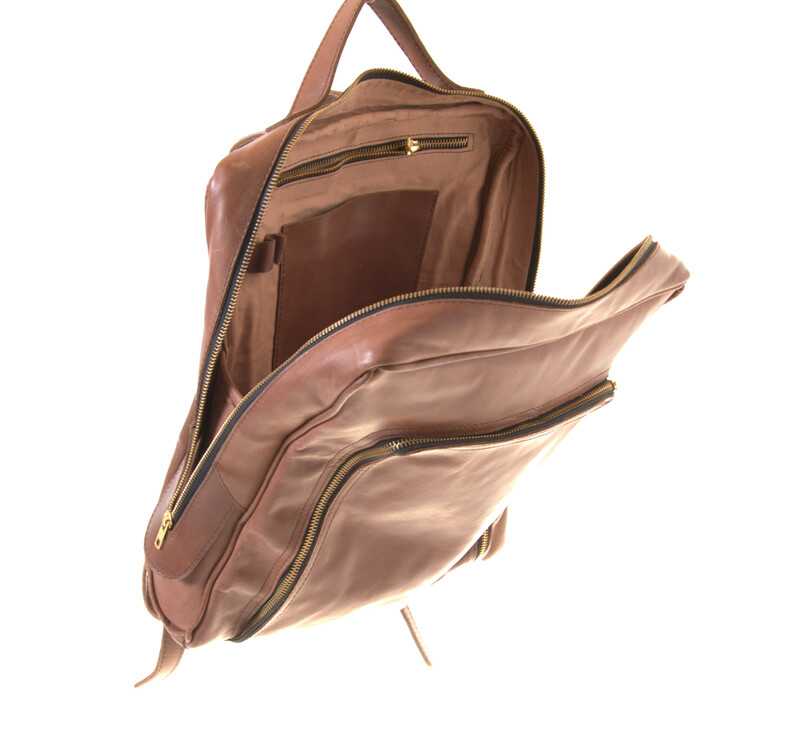 The genuine leather backpack Emil is part of Gundara's new Ethiopian edition. 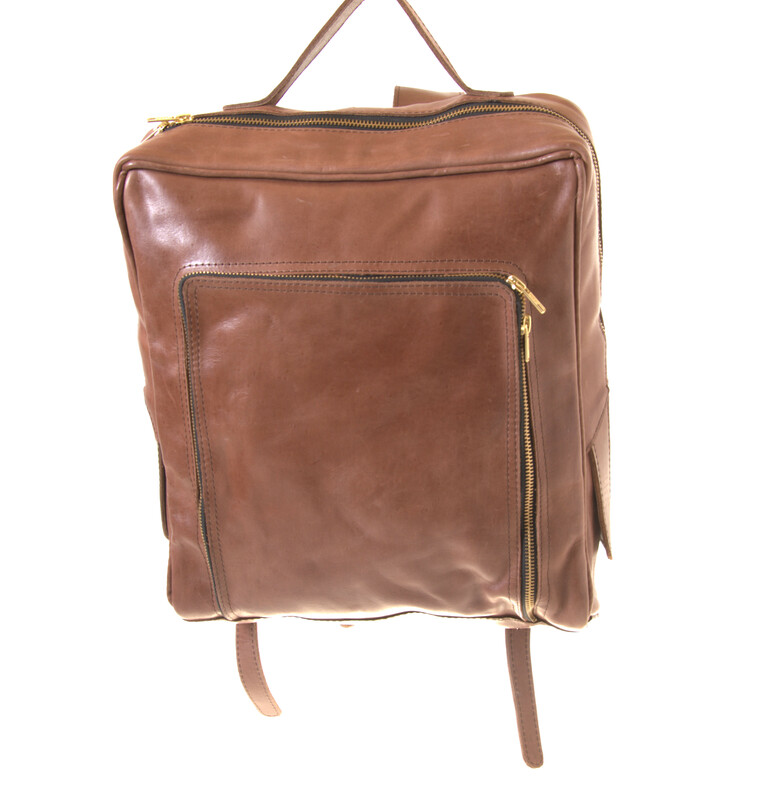 This nice simple leather backpack has two zipper-closed compartments that allow you to organize the things you need during the day. 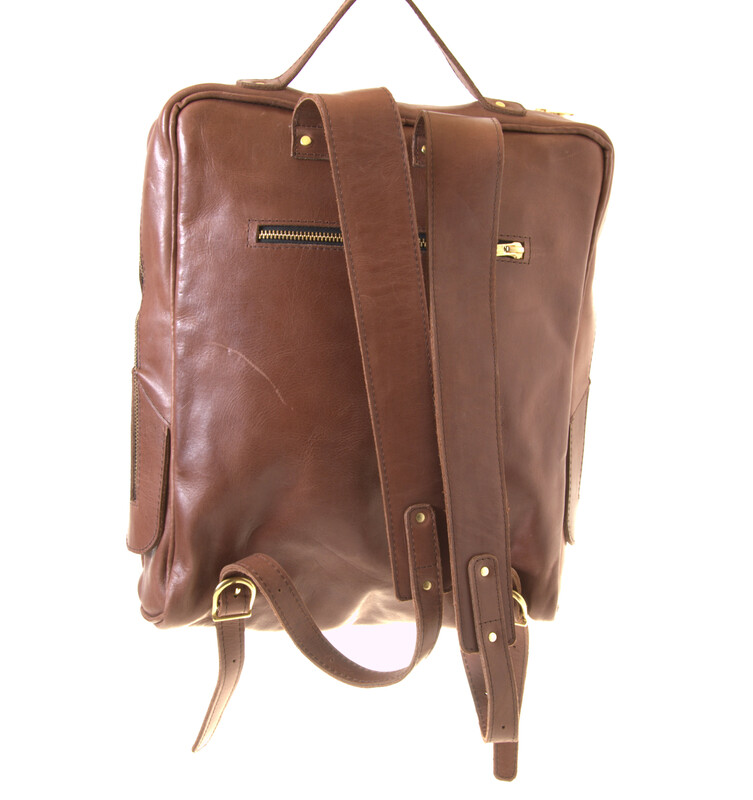 The backpack has adjustable shoulder straps (43-70 cm) and a handle on top. Inside the big compartment Emil has three open inside pockets and one zipper-closed inside pocket. 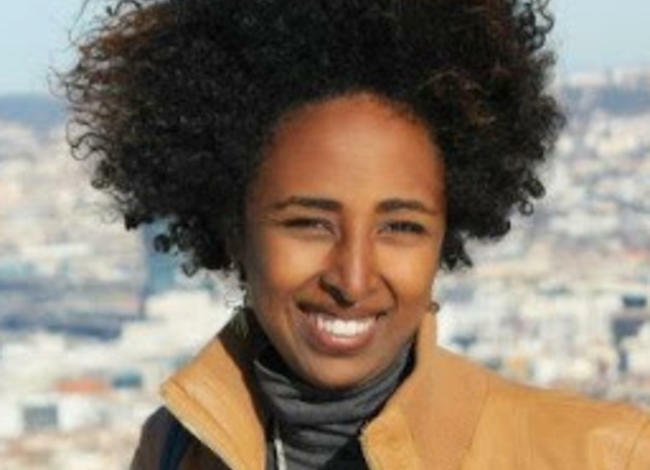 100% Fair & handmade in a small Ethiopian manufacture.